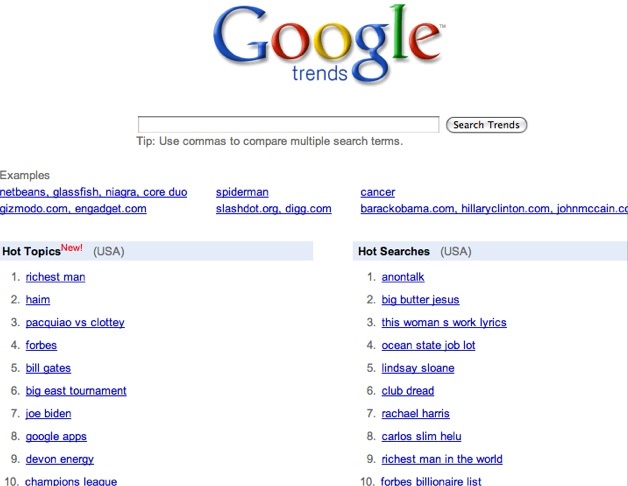 Google has Google Trends, Twitter has trending topics, and now so does Wikipedia. Pete Skomoroch, a Senior Research Scientist at LinkedIn and blogger at Data Wrangling, built a trending topics page for Wikipedia. The homepage ranks the top-25 Wikipedia articles with the most pageviews over the past 30 days, as well as the fastest rising articles in the past 24 hours. Some of the most popular Wikipedia articles in the past month include ones on the Perseids meteor shower, Danish physicist Hans Christian Ørsted, director John Hughes, and G.I. Joe: The Rise Of Cobra. These are quite different than the types of search trends you would find on Google trends or realtime trending topics on Twitter. 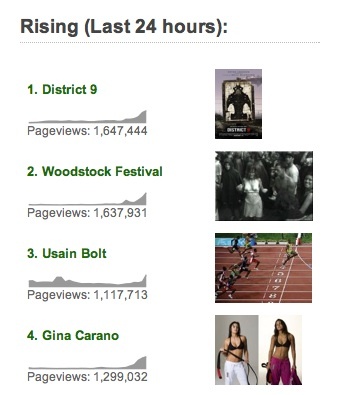 Even the trending topics over the past 24 hours (District 9, Woodstock Festival, Usain Bolt, Gina Carano) are quite different than the hot searches on Google. And, no, I have no idea why Perseids was the top trending topic last month, it is usually visible in the summer. 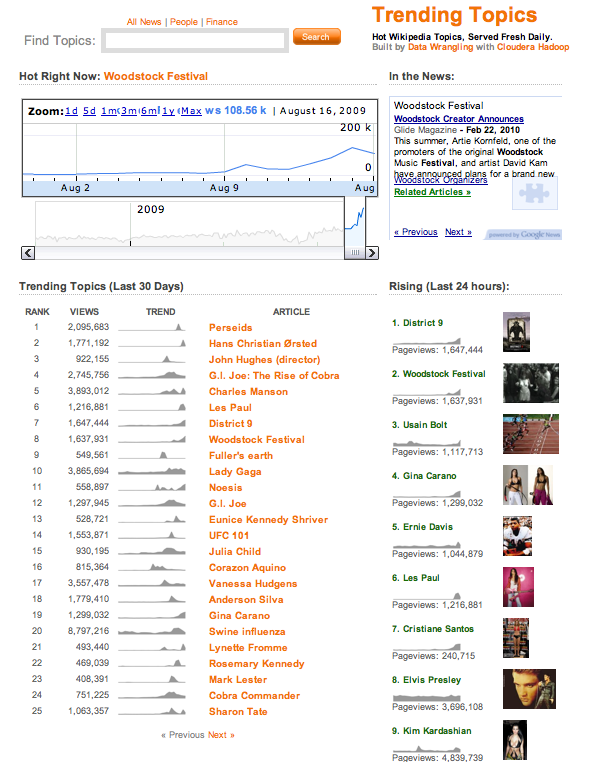 You can search for any topic, and the you will get a chart showing pageview trends, along with the actual article placed in an iFrame below the chart. It’s as good a way as any to explore Wikipedia. The site is built on Cloudera’s version of Hadoop.